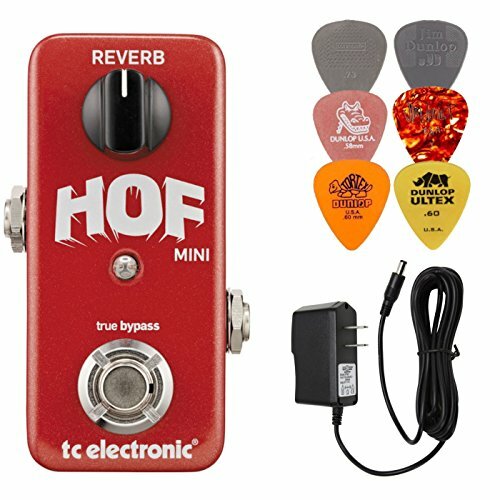 TC Electronic's awesome Hall of Fame Mini reverb pedal gives you the reverb sound you need while saving space on your pedalboard. Fueled by TC Electronic's TonePrint technology, the Hall of Fame Mini lets you load up signature reverb styles created by some of the world's greatest guitar players. You'll find Spring, Hall, Room, Plate, Cathedral, and many other excellent reverb styles all available to the Hall of Fame Mini. And, thanks to the free TonePrint Editor software, you too can create your own TonePrint voices for your TC Electronic Hall of Fame Mini pedal. If you have any questions about this product by TC, contact us by completing and submitting the form below. If you are looking for a specif part number, please include it with your message.